There are currently 91,675 users on this website. 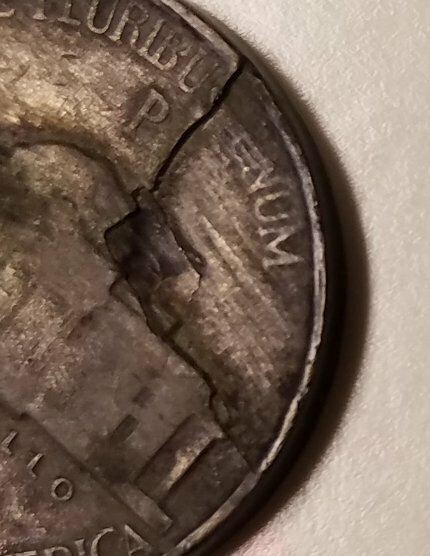 1945 P Jefferson War Nickel - Lamination Error? 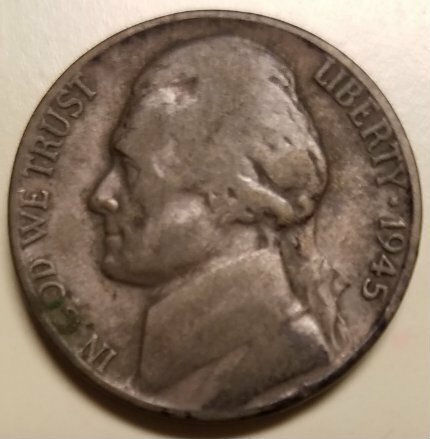 I was looking through my silver nickels and this one stuck out to me, particularly the reverse. 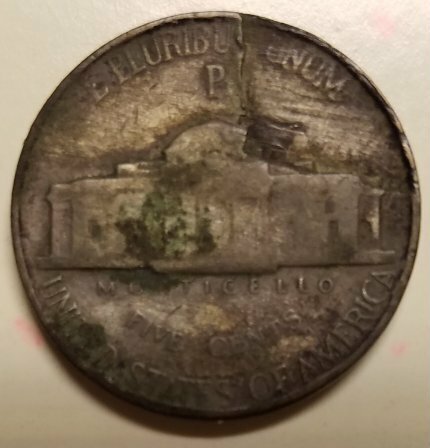 The nickel is definitely rough, but it looks like it has a lamination error to the top right of Monticello. Is that what this is or is it something else? Looks like a LAM or a de LAM. Indeed, it is a very nice Lamination! you can soak it for a day in pure Acetone, it will help the appearance.Nice catch. Awesome example! It's a good Lamination find. Thanks. I knew something was off with it. I already tried soaking it in acetone for hours and this is the end result. It was uglier before the soak, too.